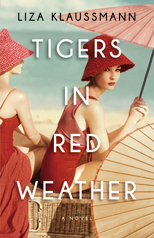 Brilliantly told from five points of view, with a magical elegance and suspenseful dark longing, Tigers in Red Weather is an unforgettable debut novel from a writer of extraordinary insight and accomplishment. Thanks to Anna and Hachette Book Group, I have 3 copies up for grabs! 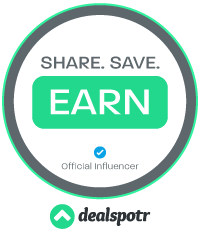 Fill in the Rafflecopter form below. The fact that it is told from multiple points of view is really exciting. I love the time period! Thanks for the giveaway. I love the Martha's Vineyard island setting and the post-WWII era but it's the characters that really intrigue me. Despite the elegant, carefree life Nick and Helena live and hope to live it sounds as if things don't turn out quite like they expect. It seems like there's a lot of dysfunction in these character's lives and some mystery, too, in secrets they harbor that eventually come to the surface, that will be revealed and about which I'm very curious. Finally the variety of points of view because I'll get the chance to learn quite a bit about many of the characters. To be honest I love the cover of the book. I enjoy books that take place in the 1960's, my favourite time. The combination of family drama and mystery is intriguing. Ha, how shallow am I? I love the cover. Totally valid reason, right? The cover of this novel drew my attention right away. I love any story revolving around the war or in this case even post war. I just love historicals at during anytime period really. Cover is gorgeous history drama my type of book. I like the time period, and the storyline. This one I'd like to win! Looks like a well written book.